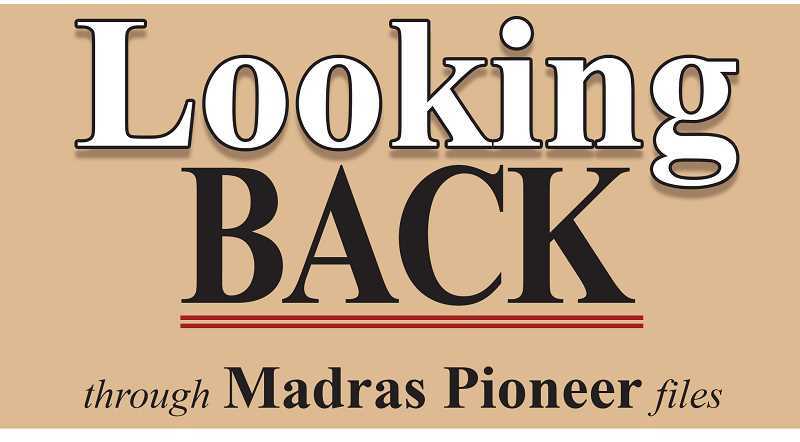 Madras businessmen hope to urge establishment of mineral sanatorium in Madras in 1918. Monday evening, a number of the businessmen and other citizens of Madras met together to consider some way of inducing H.H. Brooten, of Cloverdale, Oregon, to establish a branch of his mineral baths, and other mineral treatments of his famous mineral springs at Madras. The springs are near Cloverdale, on the Big Nestucca River, where baths are given by the owner, and many people have received great benefit from the treatments given. It was finally decided to formulate a strong petition, and have it signed by most of the businessmen urging the establishment of a sanitorium here. This was done Tuesday and the petition, urging the establishment of the sanitorium, and promising the cooperation and support of the business interests of the city, was forwarded by Tuesday evening's mail. It is proposed to convert the Hotel Madras into a sanitorium, the Magees having expressed a willingness to cooperate in such a plan. Besides bringing relief to many forms of chronic ailments, which, of course is the principal incentive, it will be a considerable factor in a business sense. Much enthusiasm is expressed in the undertaking by some who have taken the treatments with very satisfactory results. Produce to the limit, and conserve to the bone. Every extra pound of meat on the hoof ... very extra bushel of feed produced this year will mean another step toward victory. The foregoing is the motto of the nation's 4-H "livestock brigade" enrolled in the National 4-H meat animal production activity. The chief objectives of this vital enterprise are to learn to raise and fatten farm animals in line with wartime conditions, using homegrown feeds and balanced rations. The activity looms large in the 4-H program to "Feed a Fighter in `43." As incentives to achieve outstanding records in this activity, merit awards are provided by Thomas E. Wilson, Chicago packer and chairman of the National Committee on Boys and Girls Club Work. These awards include medals to county winners, gold watches to state champions, trips to the national 4-H Club Congress in Chicago to the top ranking participant in each of the four extension sections, and a $200 college scholarship to each of three national winners. The activity is being conducted, along with other wartime projects of production and conservation, under the direction of the U.S. Department of Agriculture, State Agricultural Colleges and County Extension agents. The last named will furnish all details. Oregon's state champion last year was Taylor High of Klamath Falls, Klamath County. Farm safety has become a big goal in the Jefferson County area with the problem of lack of farm labor coming to a head. This means that more machinery than ever is moving into the fields and with this, the chance of accidents increases tremendously. County agent Jim Burr says that he feels campaigns in the past have only had a slight effect on safety equipment purchase. The reason probably being the cost of such equipment, but death and injury are quite expensive also. A recent report from the National Safety Council says that of the 1,000 lives lost each year in tractor accidents, 600 are due to overturns. At least three-fourths of these might be saved by protective frames and seat belts or crush-resistant cabs. To quote the council, "The cost of this protection is small in comparison to the potential savings in life, injury, medical costs, and property damage." President Lyndon B. Johnson has also joined the campaign for farm safety and in a proclamation stated that agriculture currently ranks third among industries in accidental death rate. Thousands of farm residents are killed every year in accidents. More than 700,000 others are disabled. The cost to the nation in dollars is almost $2 billion. "The cost in anguish is incalculable." Mechanized potato diggers are apparently one of the prime examples of mechanical hazards. According to Jim Burr, they have many unguarded gears, levers, and wheels which seem to be an invitation to destruction. Several Jefferson County workers have been injured on them, and one fatally. The harvesting of mint is also an apparent danger time. The county extension office reports that the critical time in mint harvest comes after the mint has been cut and the chopper trucks come through the fields. Here is a great potential for accidents. Just the fact of so much machinery in the field and workers on the trucks presents a danger that is incalculable. The possibility of danger is ever-present and accidents at times seem unavoidable. But alertness and knowledge to the hazards involved should help prevent many of the mint harvesting accidents. The total farm community should be involved in the safety plan, and not just during safety week. Accidents are not only involved with machinery, but also come with careless use of chemicals and fertilizers, and the seeming fun times when the farm family is out enjoying themselves. Recreation is an important part in everyone's life; make it safe for everyone. "I know all about growing up in tough times," related Arthur Carlson. "Father died in 1897; I was 9 years old. After the funeral, we came home and mother took stock of things. She found that not only did we have nothing to eat in the house, but she knew of no way to get anything to eat. I was one of the older children. She told me I would have to strike out for myself. And so out into the world I went. "My first job was for a farmer, herding pigs and cows. He promised room and board and to pay me at the end of the year what he thought my services were worth. I looked forward with great expectation to the end of the year for I had worked hard and faithfully. I did a good deal of speculating on how much money I would receive. At the end of the year I attracted his attention to the fact my year's wages were due. He paid me 90 cents. To get less than 10 cents a month was disconcerting for such a young lad and so I resigned. "By then my older brother, who was 13, had gone West and he encouraged me to follow him. I did and discovered not only the land of fulfillment, for I immediately landed a job with a printer for which I was paid $3 a week. "After three years on the job I went to the boss and asked for a raise but he told me, I can get plenty of boys to work at $3. Why should I pay for more? "I tried logic, telling him, after three years' experience I should certainly be worth more than a boy fresh off the street. He wanted to know what I thought I was worth and I said, "I am worth more than $4.50 a week, but I'll work for that much.' He said he would think about it but that's as far as he got so I quit. "It all turned out for the best, because I soon found another job in the printing business that paid $9 a week. I saved my money and soon was able to purchase railroad tickets and send for mother and my brothers and sister. They joined me in this land of plenty." – Rick Steber, Oregon Country.